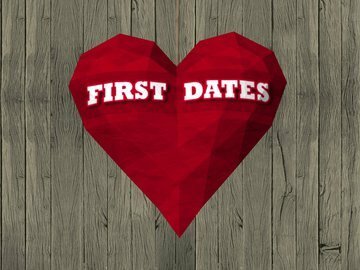 The Paralympics was great TV but I’m very happy that First Dates is back. This is the program where a restaurant opens its doors to single people looking for love. And I love this program. Yes it's voyeuristic, but at the same time heart-warming, enchanting and entertaining – but above all else demonstrates that most people aren't ultra good-looking, uber-confident and mega-popular, instead we realise most people are just like us - sometimes geeky, sometimes awkward, trying to make the most of ourselves and opportunities in our pursuit of love and happiness. I had to be persuaded by my hubby to watch Stranger Things, but with a free month of Netflix on offer, I thought I’d give it a go. Billed as “When a young boy disappears, his mother, a police chief, and his friends must confront terrifying forces in order to get him back,” this is where Teen TV meets Science Fiction. An engaging cast helps tell the supernatural story in a small town where peculiar incidents and the disappearance of a child take place, with dark government agencies also in play. But what makes this really watchable is that it is a step back to the eighties for me. 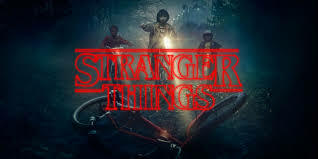 This Netflix hit draws on the work of Steven Spielberg, John Carpenter, Stephen King but the best thing about this TV show is that it doesn’t just set itself in the 1980s; it - even for those of us who remember them well - makes it feel like it was actually filmed in the 1980s, from the cast Winona Ryder, to the music Echo & the Bunnymen, New Order and The Clash to the BMX bikes and the fashion (mind I’m not so nostalgic about that). Oh I forgot I wanted to watch stranger things thanks for the reminder! It's great! So glad hubby persuaded me.